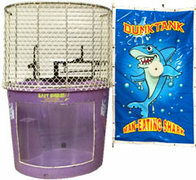 Welcome to Fun Times Party Rental website. First, we'd like to say "Thank you" for visiting Fun Times Party Rental; your local source for quality, clean inflatable fun in the Dallas, Texas area. 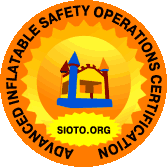 We are licensed, bonded, and fully insured; our inflatables are high quality American-made! 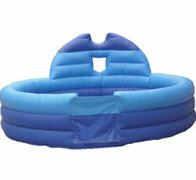 We know you've come here to shop our affordable large selection of inflatables. We proudly deliver bounce houses to Plano, Dallas, Frisco, Wylie, Sachse, Rowlett, Rockwall, Garland, Addison, Highland Park, University Park, McKinney, Lavon, Murphy, Allen, Richardson, and surrounding areas. If you don't see your area, just give us a call at 214-277-4953. If we don't service your area, we will refer you to a reputable company that does. 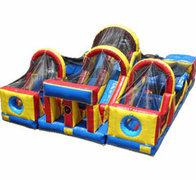 We also offer some unique inflatables for rent like our 3D Unicorn Bounce House, Gumball Bounce Bounce House, Disco Dance Party Bounce House, Texas Heatwave Double Lane Water Slide, Adrenaline Rush Obstacle Course, Human Whack-A-Mole Inflatable Game, Lumberjack Axe Throw Inflatable Game, and Electric Trackless Train just to name a few. If you have any questions or need immediate service, please give us a call at 214-277-4953. Thank you for visiting Fun Times Party Rental; your local source for quality clean inflatable fun in the Dallas Texas area. We are family OWNED and OPERATED and we offer great deals on bounce house rentals, water slides, inflatable games, carnival games, tailgating, jumbo yard games, obstacle courses, concessions, dunk tanks, plus other exciting party and event rental equipment. At Fun Times Party Rental, we love to have FUN. In fact, we put the FUN in party. You provide the party: we provide the FUN! Don't take our word for it, come on in and see for yourself what a wonderful world our party and event rentals have to offer for all of your moonwalk, train rental, or bounce house Dallas needs. Remember, when you call us you can expect friendly, outgoing customer service and the willingness to do whatever it takes to make your special event a FUN day to remember. 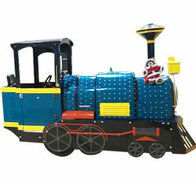 You can also expect clean, quality, commercial grade inflatables from a licensed, inspected, and insured company. What more do you need from a bounce house rental company? Whether it's water slide rental, obstacle course rental or tailgating rentals, we deliver your bounce house to several cities across the Dallas / Ft. Worth, TX metroplex. 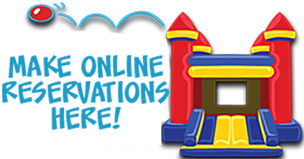 Bounce house rental cities we service include: Allen, Plano, McKinney, Rockwall, Rowlett, Sachse, Garland, Wylie, Murphy, Dallas, Carrollton, Frisco, Lake Highlands, Fairview, Heath, and Royse City. We are the bounce house company near you, serving you and your neighbors. 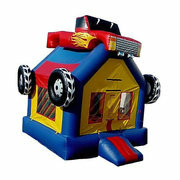 Looking for bounce house rentals near me? 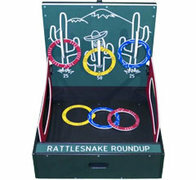 Fun Times Party Rental has been serving the Dallas, Plano, Frisco and North Texas areas for over 12 years. 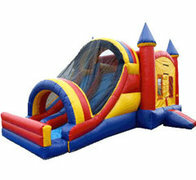 We deliver bounce houses, inflatables, and games throughout the Dallas area. We specialize in delivering unique inflatables, setting them up safely at your residence or location, and taking them down. 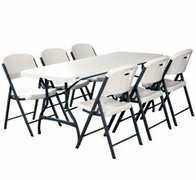 Set-up and take-down are included in all of our prices. Your kids and guests are our priority so we take pride in making sure bounces house rentals are securely set-up and anchored. 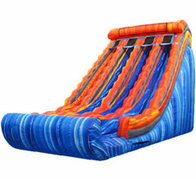 We're also licensed and insured, and our inflatables are inspected and certified yearly with the state of Texas. We make safety a priority. Why Are We The Best Bounce House Rental in Dallas? We enjoy what we're doing and it shows. From great customer service, to clean inflatables, and and safety set-up; we're your neighborhood bounce house rental company to trust. We are family owned and operated, and local. We are not a big brand franchise we really are your neighbors, and we care about your events. We've worked hard to build this company and many of our customers are repeat customers, who have been with us for years. Not to mention we are an affordable company, insured for your peace of mind. 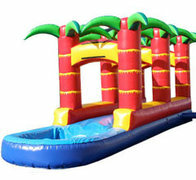 What's the Difference Between Inflatable Slides, Bounce Houses, Combo Units, and Obstacle Course? Bounce House rentals are generally square, sometimes they are round in shape. Bounce houses are designed for kids to jump inside. They're often called jumpers, jump houses, bouncy castles, or moonwalks. 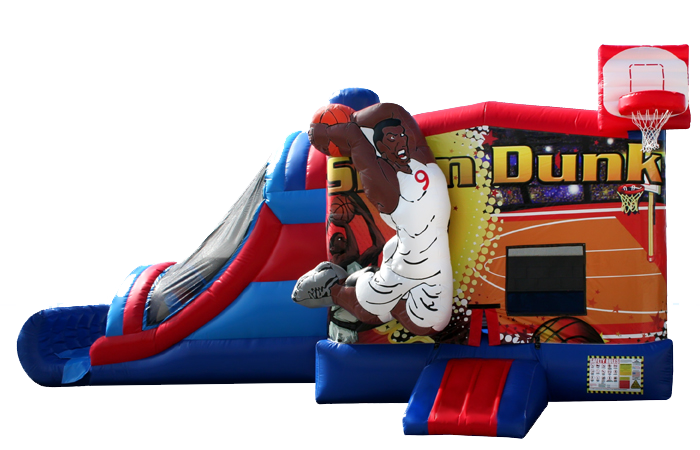 Bounce Houses do not usually have any additional activities except for a basketball goal inside. 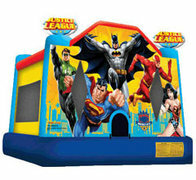 Bounce House inflatables are the most economical way to add fun to any outdoor party or event. Jump Houses or Moonwalks are great for all ages, including adults, but they are limited on the number of people that can jump at one time. They can also be set-up inside gyms and warehouses spaces with high ceilings. 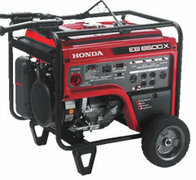 Bounce houses can be delivered to local parks with a generator rental. When shopping for a bounce house or jump house rental in Dallas, Plano, McKinney or nearby, make sure you're comparing sizes when shopping by price. 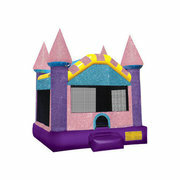 Common bounce house sizes are 13x13 and 15x15 feet. 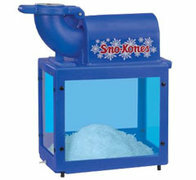 The best quality are cleaned frequently and made in American. Customers often ask if our bounce house rentals come with slides, the answer is yes and no. 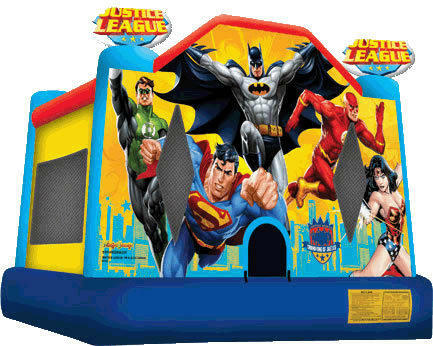 Bounce houses are typically just for jumping, and do not come with additional features like a slide. Combo rentals on the other hand is short for a combination of a bounce and a slide, or a bounce and an obstacle course. We do offer bounce house combos with slides and/or obstacles courses. 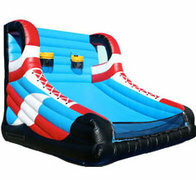 Inflatable combos cost more to rent that a traditional moonwalk, but they're typically much larger in size, and contain several activities for hours of variety and fun. The majority of our bounce combos for rent have a bounce area, a basketball goal, a climbing wall, a slide, and sometimes an obstacle as well. 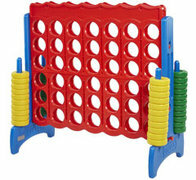 These units are great for older kids as the combos give them more interactive fun. In the summer we offer water slide bounce house combos. Water Slides and Dry Slides are inflatables strictly for sliding on. 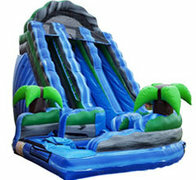 Water Inflatables have stairs where the customers can load from the front or the back side.The slide rentals come in many sizes even large and tall enough for adults. Finding the perfect inflatable water slide is easy as long as you know your budget, the age range of your guests, and the size of your yard. The taller and the longer the water slide the more money it costs. Water slides are similar to our dry slides with the added feature of streaming water from the top, and you can upgraded to an inflatable pool on most units. During the Texas summer, dry slides are typically too hot to touch, so upgrading to water slide is preferred. Be weary of any company that tries to sell you a dry slide outdoors during the Texas summers. Ouch! Instead spend the money on a water slide or slip-n-slide. We have plenty of options to fit all budgets. We have cheap water slides for beginners and extreme slides for the adventurous. How are Slip-N-Slide Rentals Different From Water Slides? Water slides the customer goes up the stairs, and then come down the slide. With slip-n-slide rentals, the customer runs then dives onto a horizontal sliding pad, gliding all the way head first until they reach the pool. Slip-n-slides are the most economical way to beat the Texas heat with a water inflatable. Our slip-n-slides come in single lane, double lane, and even triple lane fun. The cool thing about slip-n-slides other than the cheaper price, is that adults and kids can slip the day away. Making your party and event reservations at FunTimesPartyRental.com is fast and easy with our new online reservations system. Just CLICK the link below and enter the date and times of your event. Then as you browse through the website you will be presented with only those items available on your date. You can also just explore all the categories below and when you see an item that is perfect for your party, CLICK on the "Add to Cart" button on the product page. That's it! It's as easy as one, two, three! Let's get your party started now! Safety is always our first priority at Fun Times Party Rental, so you can count on all of our rental units to be cleaned and sanitized and ready for fun at your event. 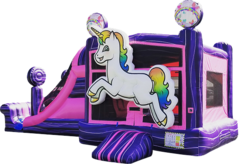 Fun Times Party Rental is licensed and insured in the State of Texas, and all of our inflatables are manufactured from "lead-free" vinyl for your child's and your guest's safety.